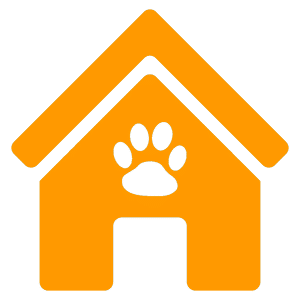 Precise, seasonal lodging or per indefinite period to dogs and cats. The natural space in which we find ourselves, besides being an idyllic place, provides our guests, dogs and cats, a real explosion of sensations that are often not used to live in the city, and generates a state Of great happiness. We have ample recreational areas and walk, for the enjoyment of the dogs housed, who during their stay enjoy several walks daily. The cats have a space of 250 m2 fully adapted to meet their needs, where they can move freely and feel at home. Ample recreation areas and walk, for the enjoyment of dogs housed. The cats have a space of 250 m fully adapted to meet their needs, where they can move freely and feel at home. The service is oriented to puppies, having contemplated a specific attention to the cares and needs of the dog in these early ages. Precise lodging directed to those dogs that his owner must absent himself during a short period of time. This service of canine lodging we have destined it to dogs that require a longer stay or of indetermine duration. Service directed to the felines, space totally adapted to satisfy the needs with the cats, that they diponen of total freedom of movement. We were immersed nature in the heat of, in the Alt Penedés, between the right margin of the river Anoia and the bulk of l’Ordal, between dry farmings and vines, pines, oaks and in the heat of region of the “cava”. Ample leisure parks and stroll, for the benefit of the lodged dogs. The cats count on a space of 250 ms totally adapted to satisfy their needs, where they will be able to move freely and to feel like at home. This natural space, besides being an idyllic place, provides our guests, dogs and cats, an authentic explosion of sensations to which in many occasions they are not customary when living in the large city, and generate a state to them of great happiness. The ample leisure parks which we have, by that took a walk to the dogs, transfers a great amount to them of scents and sounds of the nature, that sometimes generates certain excitation to them and not to know by what to go first. We animated to them to bring to its mascot to the benefit of these places. We encourage you to bring your pet to the enjoyment of these places. We realise the displacement until its address and gather “in situ” its mascot, avoiding to him the displacement until our facilities. The dog would travel comfortably in a vehicle totally adapted for the transport animal, in an independent cockpit to avoid that it can have an incident, in adapted conditions of temperature to the station of the year. Fontfreda counts on an extension of 10,000 devoured ms2 in matchless natural surroundings, these conditions contribute to the animal an enthusiasm state and enjoys. We have some outer canine enclosures of dimensions between 8 and 12 ms2, located under a pine that it avoids that the sun affects the enclosure directly the warmest times and count on a system of heating for the cold seasons. For most demanding, we have a service of Familiar Day-care center, in which the animals will be lodged in the house. 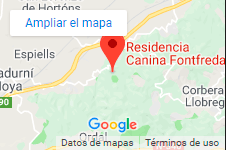 I was looking for residences for dogs in Barcelona and found enough but when asking references everybody spoke to me very well of FontFreda, after leaving to Gus 2 weeks by vacations I understood there why. Throughout my life I have known many canine residences then always we have had dogs, I recommend Fontfreda to you then as a whole is one of the best ones not to say the best one, if not than they ask it DAS.